The first time Joyce Kilmer Elementary School teacher Denise Roskey did an Alex’s Lemonade Stand fundraiser with her students in 2007, she didn’t think it was going to be a huge deal. After the overwhelming performance the first year, Roskey decided to make Alex’s Lemonade Stand an annual fundraiser at Kilmer. On May 27, the school held the fundraiser for the 10th time. Alex’s Lemonade Stand was started in 2000. A 4-year-old cancer patient named Alex Scott decided to start a lemonade stand where she would donate all of the money she earned toward finding a cure for childhood cancer. Today, Alex’s Lemonade Stand Foundation organizes lemonade stands across the country, will all of the funds raised going toward childhood cancer research. Just as Alex’s Lemonade Stand became a huge deal after the first event, Kilmer Elementary’s stand has also grown each year. In the first 10 years, the school has raised more than $30,000 for ALSF. Today, the stand is a school-wide event with the fifth graders taking the lead. Students in all of the fifth-grade classes organize and run the stand each year as a service project. Students in Kilmer’s lower grades visit the stand throughout the day and donate money. In addition, vehicles driving past Kilmer Elementary on Chapel Avenue will stop throughout the day to donate money and get a cup of lemonade. Fifth grader Angelina Williams remembered donating money at the stand when she was younger. This year, she was excited to finally get a chance to help run the stand. In addition to the lemonade stand, the school hosts a hair donation event where students can get their hair cut and donated to the Children with Hair Loss Foundation. Roskey described it as another way to help child cancer patients. This year, students who visited the stand went home with an extra present in the form of a superhero cutout. The fifth-grade students made these cutouts and put the story of a childhood cancer patient on them. A number of students from Cherry Hill High School West volunteered their time on May 27 to help the fifth grade run the lemonade stand. 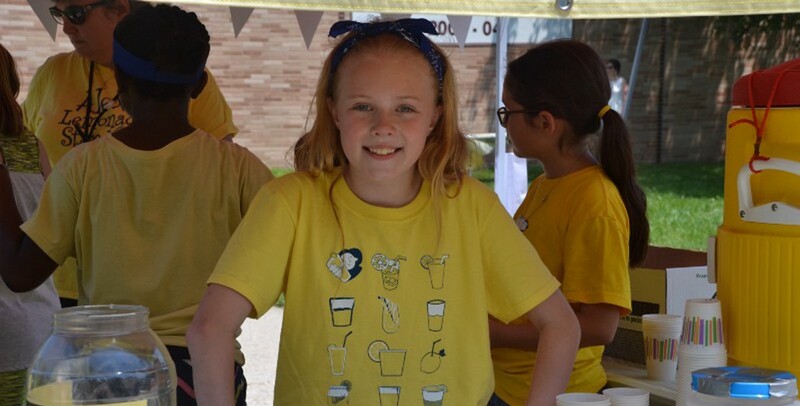 One student, junior Riley Goodwin, has done a number of Alex’s Lemonade Stands throughout her childhood. Riley was diagnosed with cancer at the age of 3. 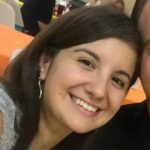 She has been cancer-free since the sixth grade. In 10 years, Alex’s Lemonade Stand has grown from a single class event to a community happening. One of the most exciting moments for Roskey this year was seeing students who participated in the first lemonade stand come back as college students and donate or volunteer their time. Seeing the amount of work the students put in each year makes Roskey determined to keep the lemonade stand going at Kilmer for years to come. “The whole school has really embraced it,” she said.